Amaze your friends (and annoy your enemies) with your expert knowledge of a massive range of subjects! 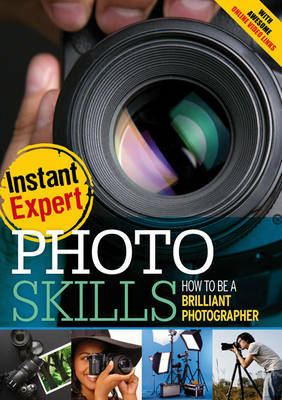 Instant Expert takes the hottest topics for ages 12+ and turns readers from novices into knowledge-gurus. Jam-packed with information, each book offers practical, hands-on advice from insiders - people who know the subject best. Want to know how to stop your bike's brakes squealing? The best compound wheels to use for ramp skating? Or how to defend yourself if you are attacked? Instant Expert guides will show you how. Illustrated with a combination of high-impact images and step-by-step photos, these books are designed as a resource that readers will be able to return to again and again, as well as being useful for a single hit of knowledge. Exciting online video links are also provided to carefully demonstrate techniques, enabling readers to watch an expert and see how it's done.